We are celebrating! What a better way to celebrate than to choose a recipe that inspired us from our talented contributors! This mission was next to impossible! I am honored to be part of this amazing group. Feedback from some of my followers tell me that they look forward to @SundaySupper every week! That goes for us as well! We have so many great themes and recipes and each week we are all excited and look forward to see what everyone has created! Together, we have created a movement that has grown in leaps in bounds and is making a difference in the lives of families. The Sunday Supper Movement took off and received so much recognition, that we have launched our #WeekdaySupper initiative. It starts off as one day a week and soon becomes a way of life. This year, we will feature easy Weekday Supper Recipes every day of the week! I chose to make Chicken Soup with Dumplings from Jennie at The Messy Baker. If you read her post, someone twisted her arm to make the dumplings for her soup. Dumplings and soup are the most comforting. Jennie has great recipes and amazing food photos! Be sure to head on over to Jennie's Blog! Season the chicken with salt to taste, and push 2 cloves into 1 of the chicken thighs. (This does not add any clove taste to the broth - I've just been doing this forever! Add it to a large stock pot, cover with about 4 quarts water and bring to a simmer over medium heat. When soup comes to a simmer, skim the surface with a ladle. Discard any "scum" that accumulates. Add carrots, celery, onion and thyme bundle. After about 45 minutes at a gentle simmer (don't let the soup boil), taste the soup and adjust the seasoning. Use a large spoon and a pair of tongs to remove the chicken to a baking sheet and allow it to cool for a few minutes. Remove and discard the thyme bundle. Break the chicken into bite-size pieces and add them to the soup. To the stock, add 1/2 cup heavy cream. Bring to a simmer. Combine ingredients for dumplings and using a small ice cream scoop or spoon, place dollops onto simmering broth. Cover and simmer 10 minutes. Containers of chicken stock will last for 5 days refrigerated and for 6 months in the freezer. Freezing Tip: Freeze some in 1 cup containers for quick meals or in ice cube trays to add to sauces. You know I still have never made dumplings before and I really need to change that. 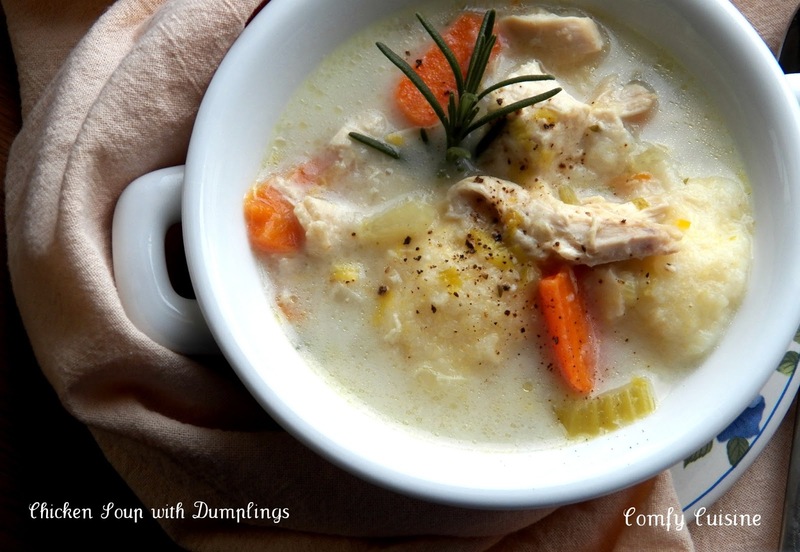 Chicken dumpling soup is one of my favorites! 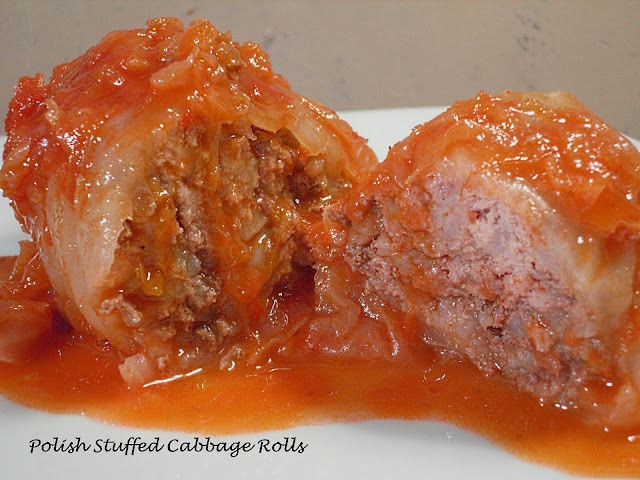 I'm always looking for new dumpling recipes though so I can't wait to try this one! YUM! On a cold day there is nothing quite like a bowl of chicken and dumplings. Recipe looks great too. I love dumplings in my soup and it has been so long since I have had it! You inspired me!! Sounds so good! I would love to have chicken and dumplings tonight - it is freezing here! This sounds great Patti, we were just saying it's time to make chicken and dumplings! I'd like to hear more about the cloves... And I agree, this weekly theme is a very nice one! I can't wait to make this! It's so perfect for cool weather! Now I so want a big bowl of that, so comforting on this cold January day!! I've never made chicken soup with cream before but it looks amazing. Next batch, I'm trying it! Can you believe I have never tried making chicken and dumplings? I must change that after seeing this beautiful recipe. Thank you so much for being such a big part of #SundaySupper this past year. I love your recipes and your friendship. I'll take a double, please! Your chicken and dumplings turned out beautifully! It looks delicious. I hope you enjoyed it. Beautiful! I always loved it growing up, when my mom made dumplings. There is something so comforting about them. The addition of dumplings makes this unbelievably good! This is such a great recipe to have around. This does look like comfort food & your pics are lovely ! Must try this sometime :) ! I could go for a bowl of that right now -- I just LOVE dumplings! 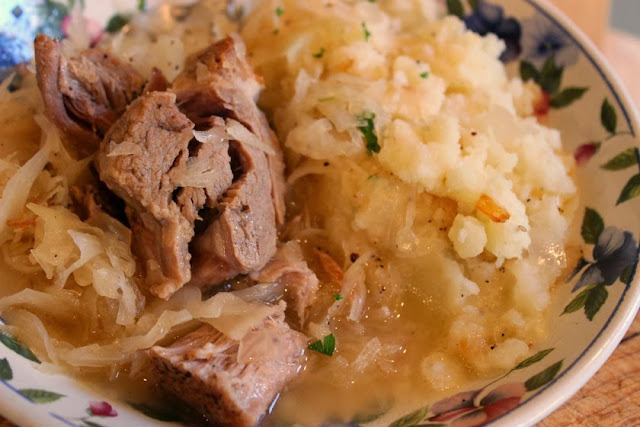 Your photos make mw want to make this soup RIGHT NOW!!!!! Looks fabulous!!! I really love this!! Wow, does this look amazing! We have never made dumplings because it seems so hard but this recipe makes it sound easy! I bet the girls would love dumplings! Looks amazing!! I've never put dumpling in soup, it seem some I have to do. Wow...comfort in a bowl! Great photos! This soup looks good enough to convince even cream-soup-hating me to take a bite! Oh my - that first gorgeous beauty shot of your soup has me drooling on my keyboard! I can just imagine how hearty, warm, comforting and packed with flavour your soup is. 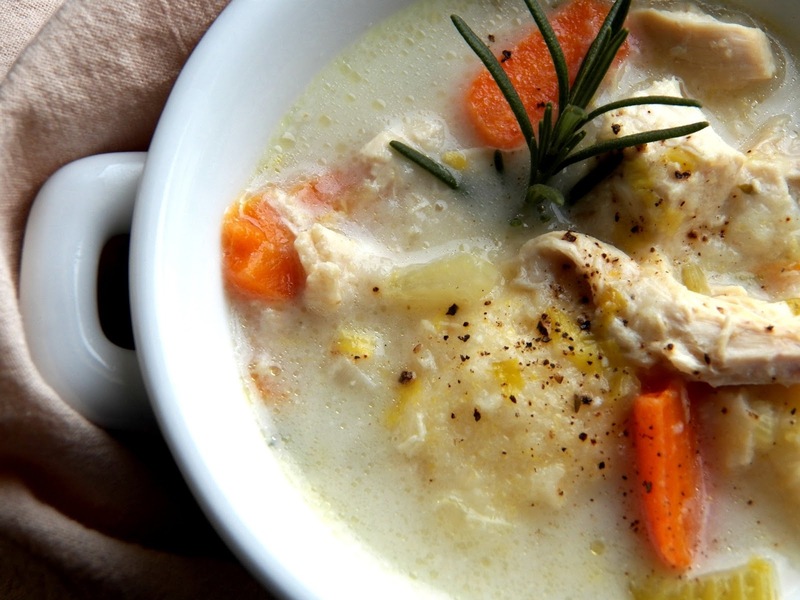 I have falls in love with this Chicken Soup with dumplings from your photo. This looks so tempting! Great Job Pat! I must make dumpling. I must make dumplings. Looks incredible.